Shiny Bright Gold Pencil Sequin Skirt 20 inches - Stretchy, beautiful knee length skirt. Ships asap! 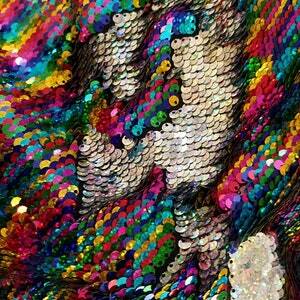 Rainbow Sequin Pencil Skirt - Mini skirt, full flipping sequins (S,M,L,XL) Super beautiful.